I’ve been mining Ethereum on these GPUs for about two months now. 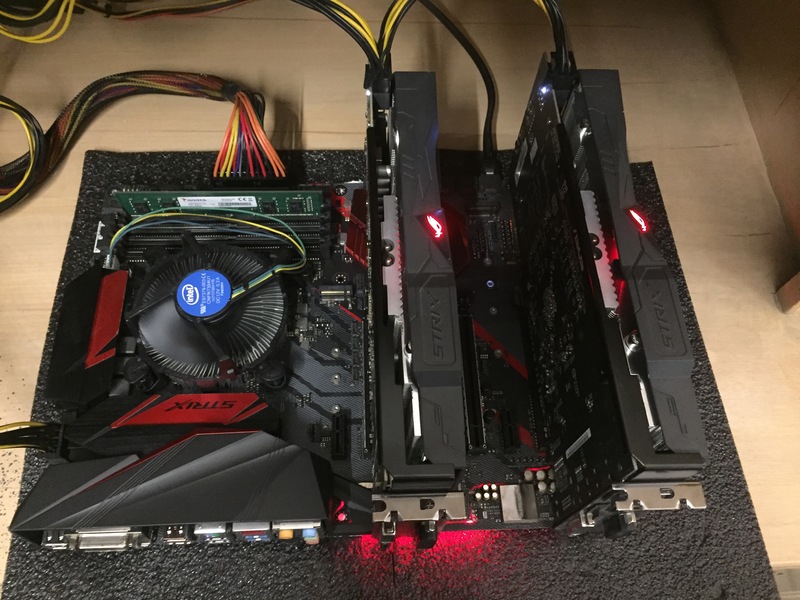 I spent a day trying figure out how to mod BIOS on these RX570s to get 30MH/s. 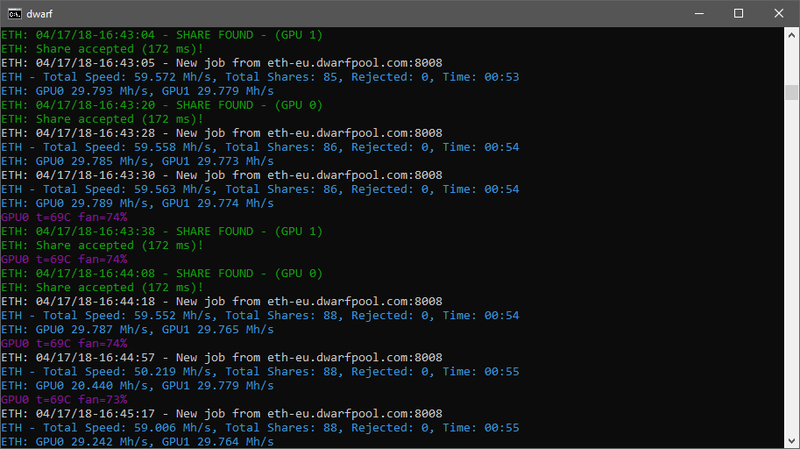 After installing Windows 10 and Radeon drivers, I tested these with Claymore Dual Miner. They were only doing 17MH/s each with default BIOS configuration. So, I googled and found out that I need to install Windows 10 Blockchain drivers from AMD to get a better hash rate. After drivers installation, the hash rate improved from 17 to 24MH/s which still was way lower than my expectation. Before purchasing these, I read a lot of posts on Reddit about mining Ethereum on 570s. Everyone was doing 29-30MH/s on these GPUs. I knew something was wrong. So it took me a few more hours of googling to find out that we have to mod their BIOS to unlock their full potential. After that, I spent all night installing dozens of BIOS ROMs and none of them worked for me. At last, I figured it out and it gave me 29.8MH/s. I’m writing this tutorial to help save the time of all those trying to mod their 570s. This tutorial will work for all GPUs (RX 560/570/580). You just need to use your GPU specific VBIOS ROM file. You can download them from here or request a custom ROM with custom settings. After downloading your ROM, follow steps mentioned below to install it on your GPU. Installing blockchain drivers can boost your hash rate up to some extent. After installation, my RX570 hash rate improved from 17MH/s to 24Mh/s. You can download them from AMD site. 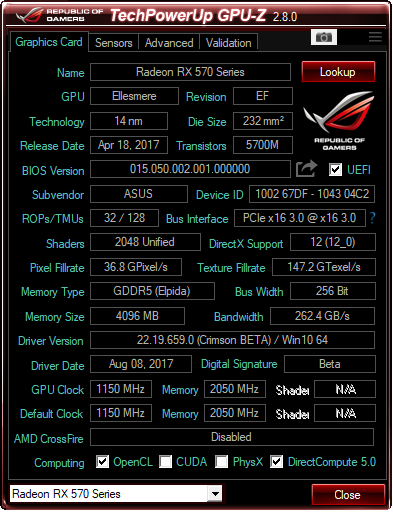 For Asus Strix RX570 GPUs I used this ROM file. You can download your GPU ROM from here. You need to download and install GPU-Z. After installation, run it with administrative rights. Now to backup you ROM click the arrow button next to BIOS Version text field and save it in case something goes wrong. Download ATIWinFlash, unzip and run ATIWinFlash.exe file with administrative rights. Load your custom ROM by clicking Load image then click program. The process will take about a minute. After it’s finished, restart your PC. After a restart, your computer won’t recognize your graphics card in device manager. This is because you just installed a new ROM on your GPU that your AMD drive can’t recognize. 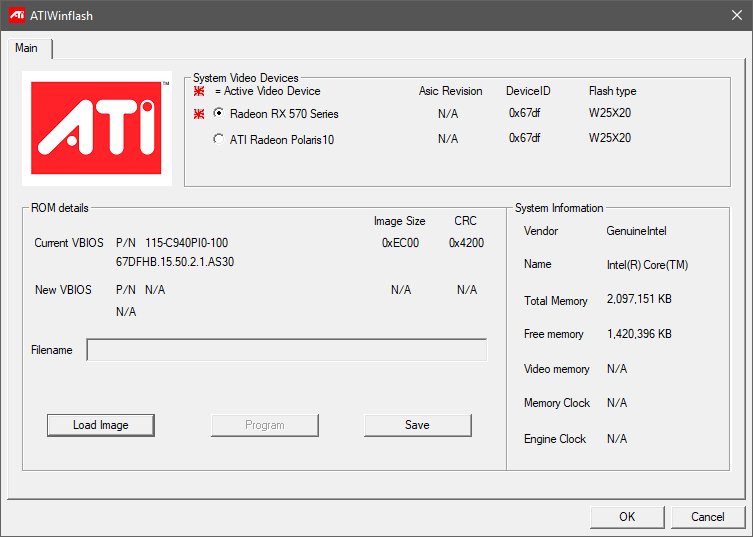 To make it work, you need to patch your AMD driver for it to detect your GPUs. To patch your windows graphics driver, you need to download and install atidmag-patcher. Run it with administrative privileges and it will automatically patch your graphics with your newly modded BIOS signatures. After successful patching, restart your PC. After a restart, you windows graphics driver will now detect your GPUs. If everything goes smoothly, you’ll be able to get 30MH/s hash rate on your RX570s. It may be slightly lower or higher depending on the vendor of your GPU memory. My hash rate was slightly lower than 30MH/s because of Elpida memory. If you have a Samsung memory, you GPU will do more than 30MH/s. If you have questions regarding the process, leave a comment and I’ll try to answer them for you. Previous Previous post: Fiberlink Review – Get Connected or Disconnected in 2018?